Speaking today in Russia, Khabib Nurmagomedov has distanced himself from taking an early retirement. Khabib Nurmagomedov has distanced himself from any rumours that he will be retiring from MMA any time soon. The 30-year-old Russian defended his UFC lightweight title for the first time last month at UFC 229 when he defeated Conor McGregor via submission in the fourth round. 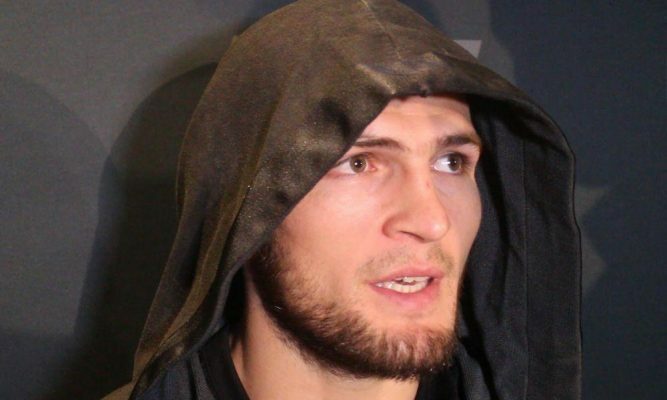 After the fight, Nurmagomedov mooted the possibility of an early retirement in the immediate aftermath, but speaking at a press conference today in Russia, the UFC lightweight champion ruled out hanging up the 4-oz. gloves any time soon. “To me, every fight is the last fight,” Nurmagomedov said via a translator. “I feel that in every fight, and then they start calling you and you start getting ready. I have been thinking about it, I’m 30. “Life goes on and I don’t want to be beaten. You have to live when you’re on top, and it’s not just me saying this. “It’s always been like this. Nurmagomedov’s immediate future lies in the hands of the Nevada State Athletic Commission who will hand the Russian and McGregor their punishments for what happened after their fight at UFC 229 at a hearing on December 10. When asked if would be appearing at the hearing today, Nurmagomedov failed to confirm he will be in attendance to hear his punishment. “Let’s wait for December 10, that’s all,” Nurmagomedov replied to the question.